Abstract: Airwheel was proud to claim that Airwheel A-series sitting posture electric scooter and a new member was added to it, called A6S balance wheelchair. It attracted the public because of being both user-and-environment friendly. Airwheel smart vehicles help change your reality. Enjoy greener living and greater times. The great popularity of Airwheel A6S arises out of being user-and-environment friendly. 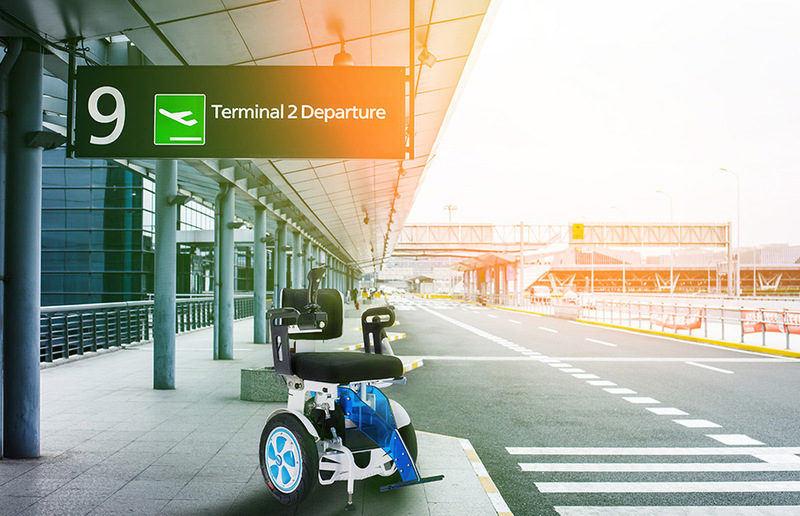 To begin with, Airwheel A6S self-balancing wheelchair is innovative. The control mode is different from others, as it replies the joystick to turn directions and the change of gravity centre to go forward and backward. A6S noted for its ease of use. When it scoot about or zoom about, it can keep the balance as possible as it can. Especially for the senior citizens, the A6S is a blessing to them and it is accessible for everyone to learn. 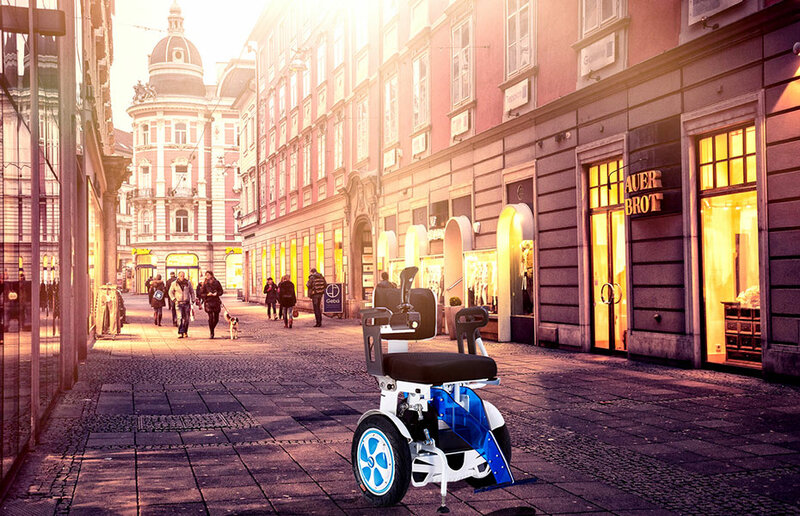 Airwheel A6S handle controlled electric wheelchair is especially well received among the females and the old. Its seat with double honeycomb mesh breathable material is wear-proof and durable. The longer you sit, the more comfortable you feel. Sit on the saddle and keep body straight. When you are ready, you can go. What is more, the joystick can be placed in the right or left side according to riders’ habits. Its alloy kickstands at the front and rear make it park stably and safely. Plus, in addition to the basic function of learning real time data, Airwheel App has realized upgrade—fault self-diagnosis. The fresh air will not be polluted if you travel on your Airwheel mars rover. Airwheel A6S is beneficial to the people and the city. The eco-friendly nature is from its kind of energy, because Airwheel A6S smart electric wheelchair adopts the electricity as its energy. This kind of energy is clean and produces no emission into the air. The kind of energy makes a great contribution to the air in the city and the environment quality. It is amazing how much life improves when you swap watching for doing. Are you still worried about global warming and environment pollution? A simple change can reduce your emissions greatly. Go green and free with Airwheel A6S self-balance personal transport.